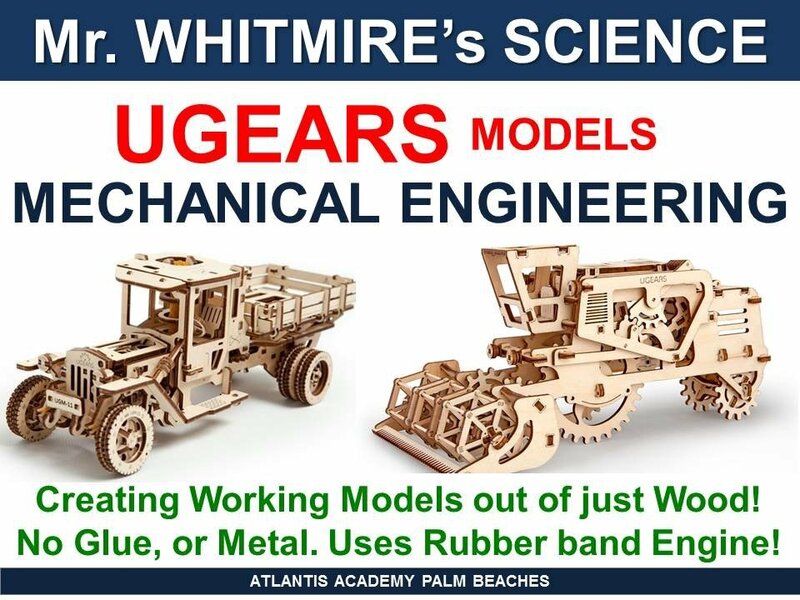 HOME /Blog /A Science teacher uses Ugears mechanical models as supplemental learning material for teaching mechanics at one of Palm Beach, FL’s high schools. 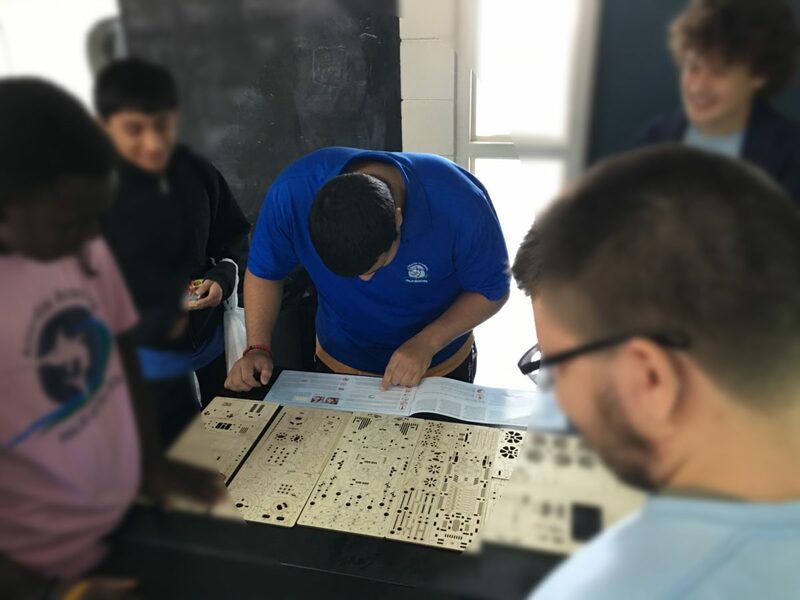 A Science teacher at one of Palm Beach, FL’s high schools offered his students some real hands-on experience in mechanics using Ugears mechanical models in his class. As the teacher stated, assembling these models not only kept students interested and engaged, but also became experiential scientific learning material that helped students to understand the depths of principles of mechanics. Students were offered to work in groups on the assembling of a few different Ugears mechanical models. From the very beginning, the process fully engaged and drew students together and taught them essential skills such as: social communication and team work, along with core principles of mechanics. One particular model that students worked on, a Ugears UGM-11 Truck, consists of 420 pieces and was fully assembled during the period of only 2 classes, because of excellent combined team work! This type of hands-on learning experience ensures a thorough comprehension of learning materials, brings satisfaction, contributes to raising the level of self- esteem and self-worth and helps in turning a plain text book lesson into an exciting practical experience. Ugears supplied this Palm Beach high school with several different models for the Science classes projects. 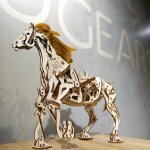 Here, you can learn about all the mechanical models and sets that Ugears offers. 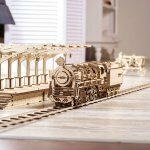 Made with natural, eco-friendly and safe wooden materials, these models are assembled without any glue and are exciting, not only during the process of assembly, but also after the work is done. When put together, they produce real-life mechanical motion and are fun to watch and play with.